A fresh explosion rocked a southern Chinese town Thursday, one day after 17 parcel bombs killed at least seven and wounded scores in the same district, state media reported. The latest blast occurred in the early morning in a residential building in Liucheng, a rural county of the Guangxi region, the official Xinhua news agency reported. 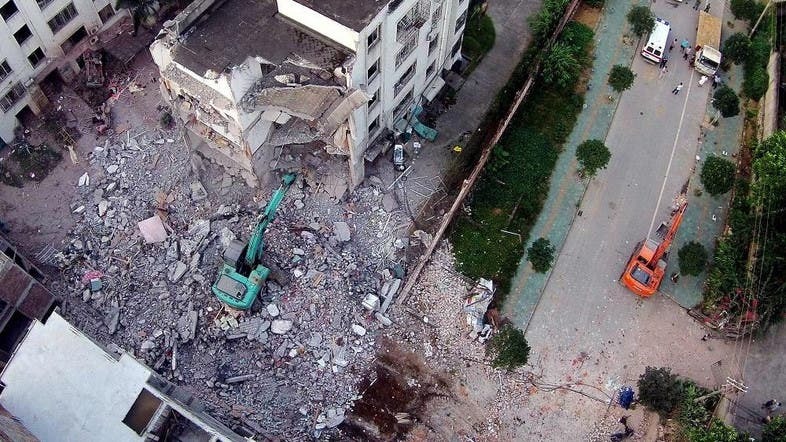 The six-story building, near a local highway administrative bureau in Liucheng, the county seat, caused “some damage” according to local media reports, and Xinhua reported “bricks scattered around” the explosion site. There were no injuries immediately reported, according to China National Radio’s blog site CRI. The radio station quoted a local resident who said he was shaken awake by the blast and “thought there was an earthquake”. The latest unrest comes one day after 17 parcel bombs exploded at multiple locations in Liucheng county, including government offices, on Wednesday. 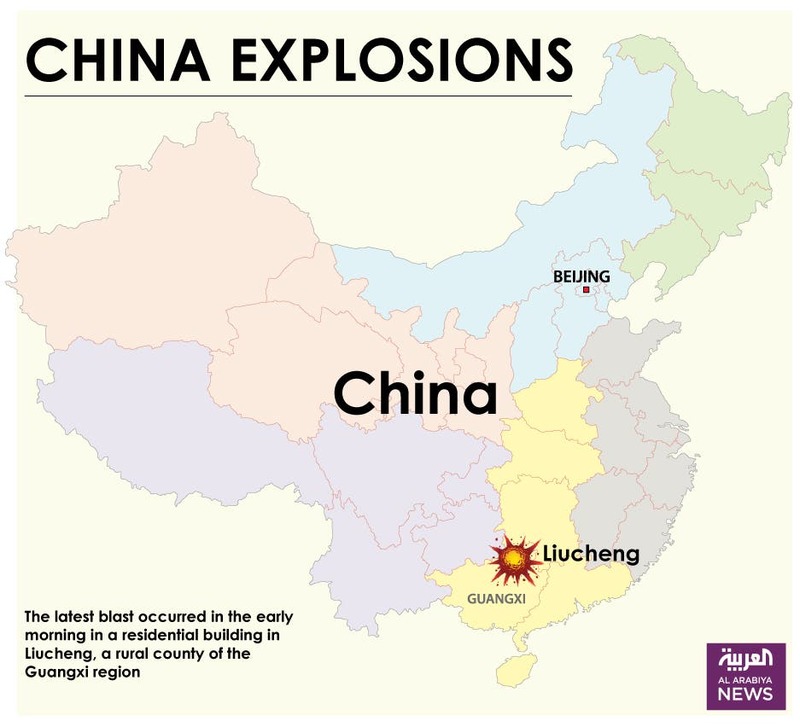 Map locating Liucheng in China where a fresh blast rocked the town Thursday, one day after 17 parcel bombs killed at least seven. Police said Wednesday they were treating the blasts as a “criminal case” but ruled out a “terrorist act”. A 33-year-old local suspect had been arrested, authorities said, providing no immediate explanation regarding a possible motive. The explosions, which also hit a prison, a train station, a hospital and a shopping center, were apparently placed in express delivery packages, Xinhua said. Photos showed portions of multi-story buildings gutted and collapsed, and streets littered with glass, bricks and other debris. Wednesday’s explosions came on the eve of China’s national day, the start of a week-long holiday during which many government offices and businesses close. In recent years, several disgruntled Chinese citizens have bombed local government offices and public places to try to draw attention to their grievances. In 2013 a man set off a series of home-made bombs packed with ball bearings outside a provincial government headquarters in northern China, killing at least one person and wounding eight. Xinhua said at the time he sought to “take revenge on society”. Liucheng, near the Vietnam border is home to about 400,000 people and is one of China’s poorest regions. China says to improve terror intelligence cooperation with U.S.